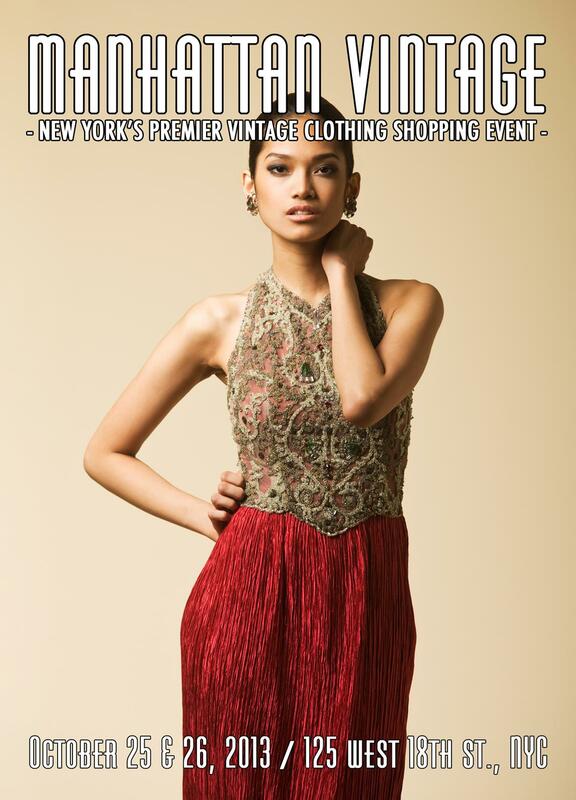 Find your own style at New York's premier vintage clothing shopping event. An extraordinary selection, from 90 top vintage clothing dealers, highlight this two-day shopping extravaganza that draws designers, stylists, celebrities, and the fashion-smart world-wide. Come shop the collection that 100 years of design built and discover high styles from the last century that inspire today's fashion trends. "The spellbinding and intricate designs of Mary McFadden occupy their own place within fashion. Laden with historical references, McFadden found a way to blend a vast array of inspirations into designs that appear timeless. While her clothes resonated perfectly with the period she was designing in (1970s-1990s), the use of classical line and form has allowed them to maintain their wearability today." The exhibition will feature clothing and jewelry from Mary McFadden's personal archive, along with McFadden designs from the archives of other collectors. Also, published in our show program will be an essay and interview by Laura McLaws Helms, conducted with Mary at her Byzantine-inspired apartment in Manhattan, that ranges in topics from her early childhood, to her design business and more recent adventures.